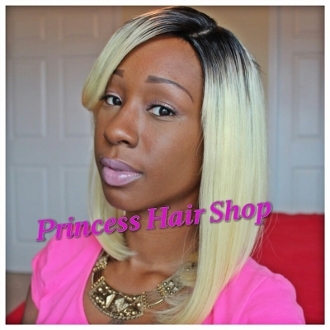 This Lace Front unit is made with Russian Straight Hair. It has been processed for color.The back of the wig also has lace (optional) and adjustable straps. With this unit, because of the rear adjustable straps and several combs, you have the option to wear it glueless. The lace is light brown with lightly bleached knots. This unit is made with extreme detail and amazing quality.